Gemstone engagement rings highlighting sapphires or other colorful gems as the focal point are both beautiful and stylish. Although for most of the past century diamond rings have been the most common choice for engagement rings, colorful gemstone rings have always had devoted fans and are growing increasingly popular. With rich hues and a distinctive yet timeless appeal, beautiful gemstone engagement rings are winning the hearts of brides-to-be everywhere. 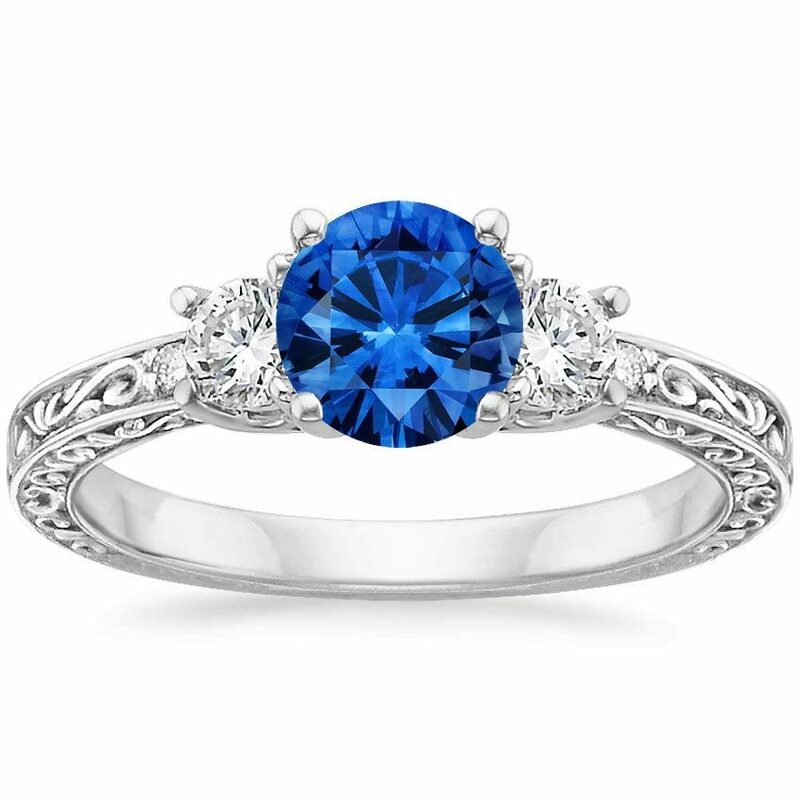 Sapphires, among the earliest known gemstones, are an ideal choice for gemstone engagement rings. 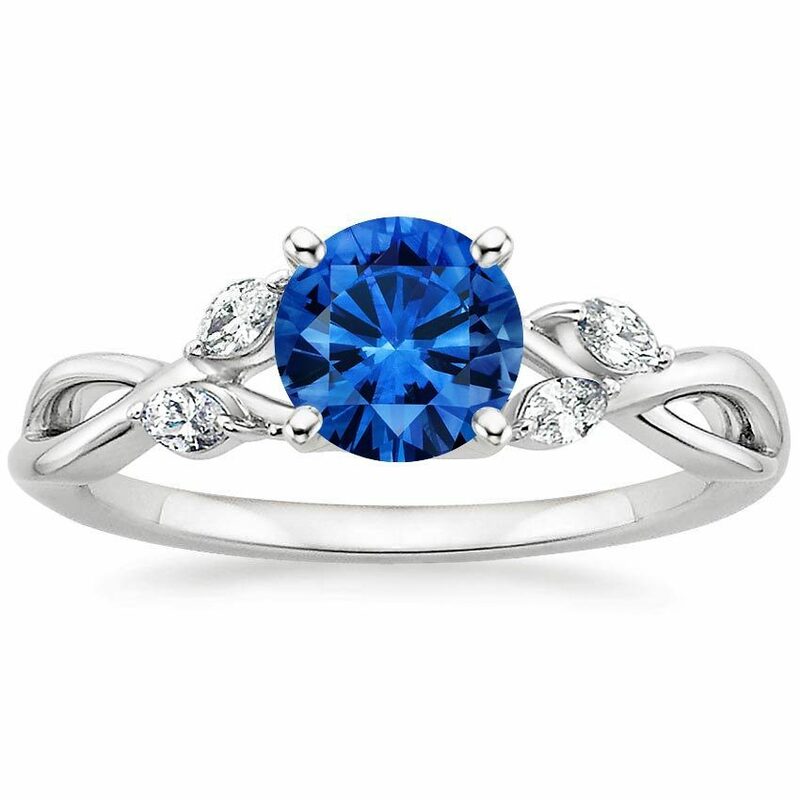 Sapphires are gorgeous and very durable, so they hold up flawlessly to everyday wear. The Mohs Scale rates minerals on their ability to withstand surface scratching, and sapphires receive a nine out of ten on this scale, which indicates excellent hardness and ability to withstand scratches (in fact, the only mineral that can scratch a sapphire is a diamond). The most sought after color for sapphires is a rich royal blue, most famous for its appearance in Princess Diana’s engagement ring, now worn by Kate Middleton. This ring, featuring an extraordinary 8-carat blue sapphire encircled by 14 diamonds, is recognized around the world, and actress Penelope Cruz wears an antique sapphire engagement ring in a somewhat similar style. If you love the look worn by these style icons, you might want to consider Brilliant Earth’s Sapphire and Diamond Fancy Halo Ring, or our Sapphire Circa Ring, which features a sapphire at the center, a diamond halo, and diamond accents adorning the gallery. 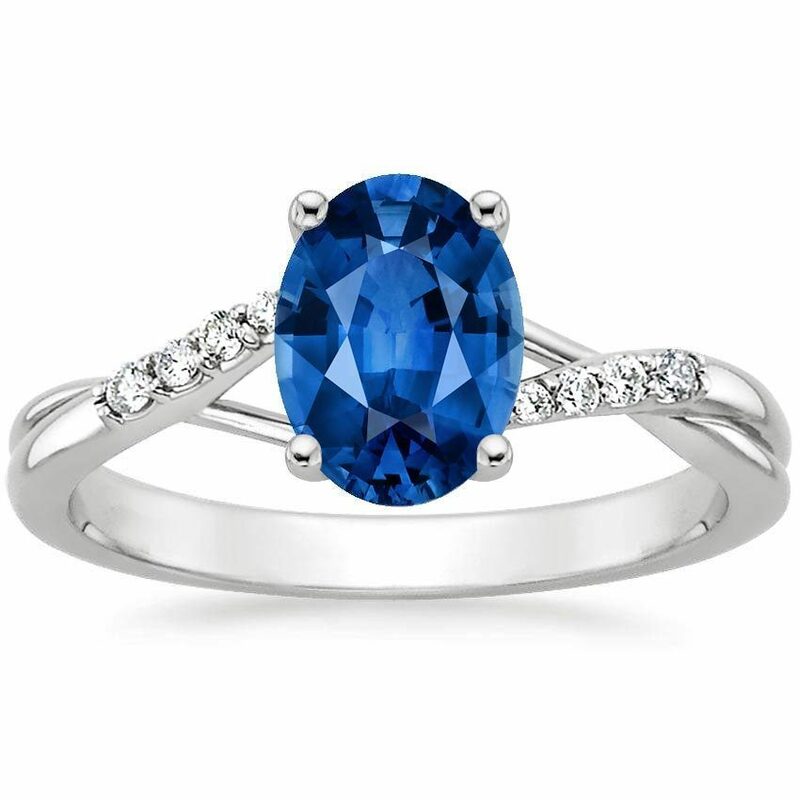 If you love the idea of a gemstone engagement ring, but aren’t sure that a royal blue sapphire suits you, never fear, there are plenty of other colors to choose from. Sapphires come in a range of tones and hues, including yellow, pink, orange, green, purple, and turquoise. Brilliant Earth offers yellow and pink sapphires and many other colors of sapphires in our Unique Colored Gemstone gallery. Pink sapphires are a perfectly romantic and feminine choice, while yellow sapphires are ideal for a luxe, glamorous look. 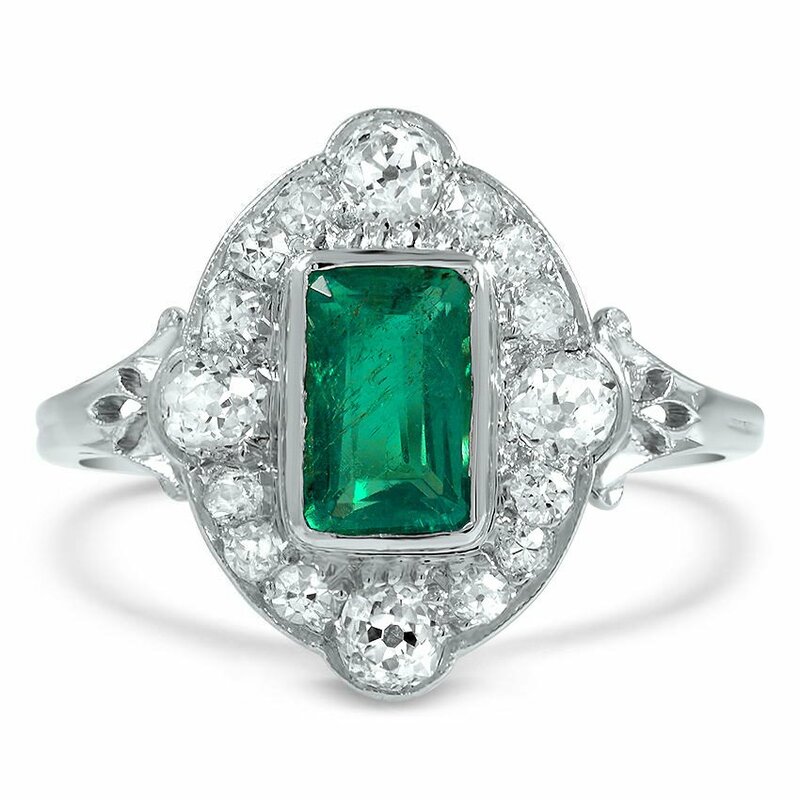 Emeralds are another timeless choice for a colored gemstone engagement ring. Former First Lady Jackie Kennedy famously wore an engagement ring featuring a large emerald alongside a diamond. And more recently celebrities including Halle Berry, Zoe Saldana, and Olivia Wilde have been wearing engagement rings featuring vibrant green emeralds. However, emeralds are not as durable as sapphires and diamonds, so extra care should be taken when wearing an emerald ring. 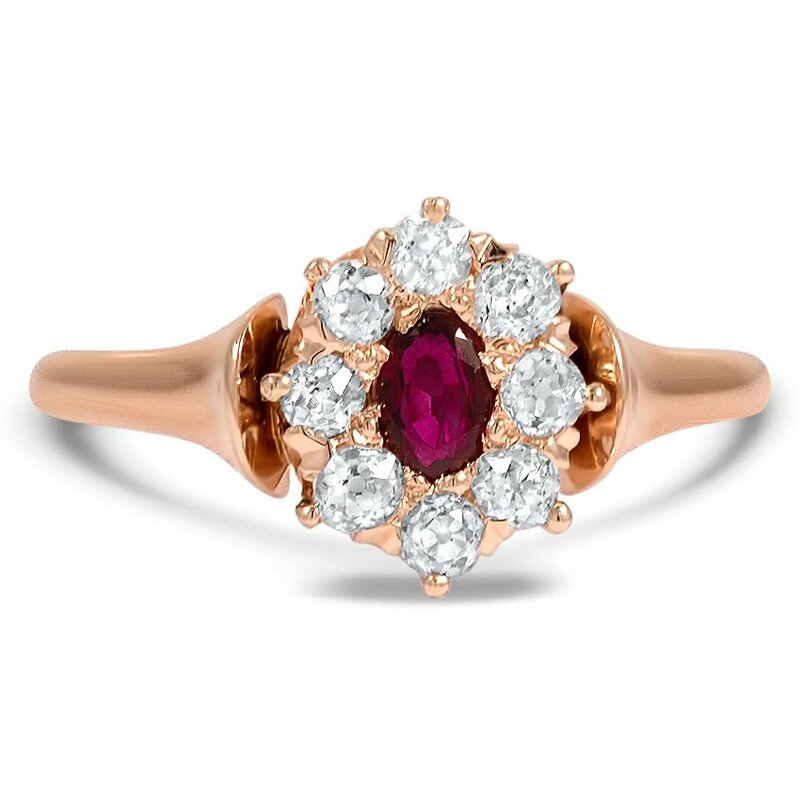 Rubies can make gorgeous and distinctive engagement rings as well. Singer and fashion designer Jessica Simpson wears an engagement ring showcasing a gorgeous round ruby flanked by two diamonds, and when her sister Ashlee recently became engaged to boyfriend Evan Ross he gave her a distinctive vintage-inspired ring featuring rubies and diamonds. Brilliant Earth maintains a broad selection of gemstones in a wide variety of unique colors and shapes. You may purchase these gems loose, or put them into any of our settings to create a personalized gemstone engagement ring. Many couples are drawn to gemstone engagement rings because they are able to purchase a larger gem at a more modest price. Because diamonds continue to be the most expensive of gems, opting to feature a sapphire or other colored gemstone rather than a diamond in your engagement ring can be financially satisfying as well as aesthetically flattering. 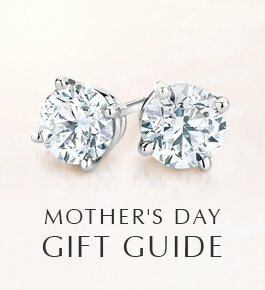 Gemstone pieces can be affordable engagement rings, and many couples are thrilled at how much “look” they can get in an engagement ring by selecting a gemstone center. Many customers wonder about the availability and authenticity of laboratory-grown sapphires. As with laboratory-grown diamonds, sapphires that are made in a lab are chemically and optically the same as those found in nature. Like their diamond counterparts, lab-grown sapphires are great alternative gemstone at a more comfortable price. They are often available in our colored gemstone gallery, or by special request when you contact us. 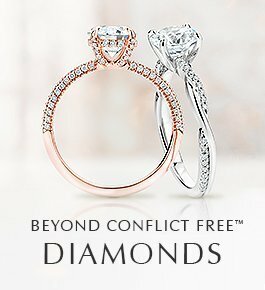 As with diamond engagement rings, there are countless options for gemstone engagement ring settings. Sapphires look beautiful in a solitaire engagement ring setting, but they also dazzle against the contrast of sparkling diamond accents. 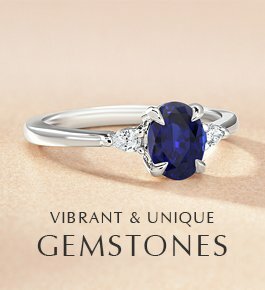 Many customers choose a sapphire for a center gem and then highlight it with accent diamonds for a truly exquisite ring. 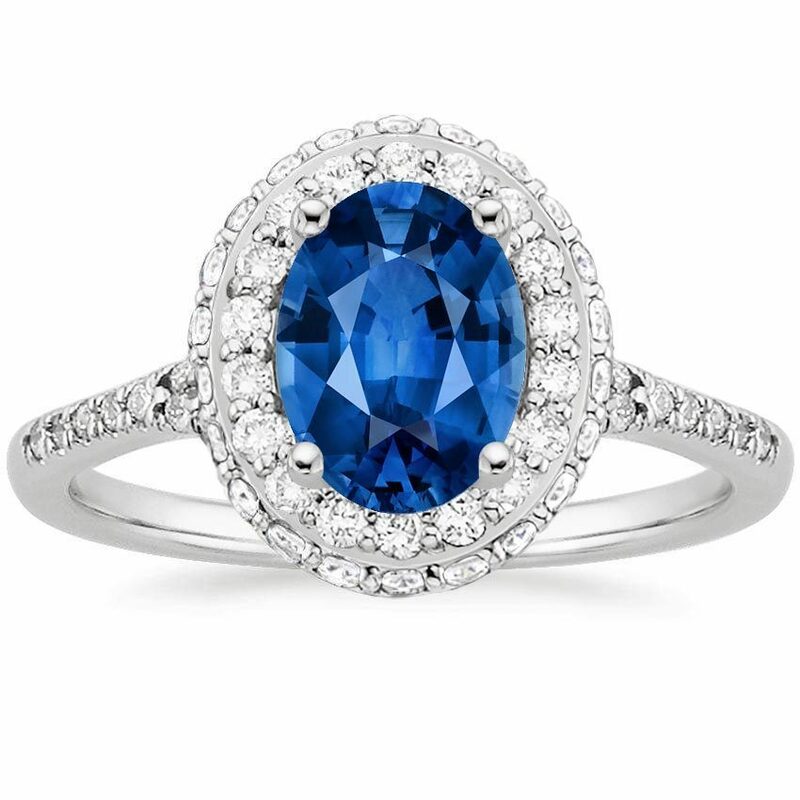 The brightly colored sapphire center interacts beautifully with the sparkle and fire of white accent diamonds. Inspired by Princess Diana’s sapphire ring, many customers select a dazzling sapphire halo engagement ring for a luxe look. 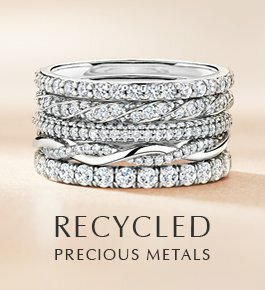 If you’re drawn to a more nature-inspired aesthetic, you might love the Willow Ring, which can be made with a center sapphire and diamond “bud” accents in the setting. Brilliant Earth has an abundant selection of sapphire engagement ring settings, whether you want a style that is streamlined or ornate. We are also able to work with you to design a custom engagement ring setting with the center gemstone of your choice. 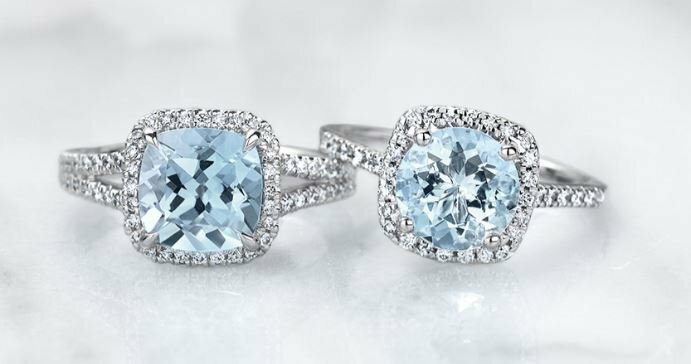 If you know you want a gemstone engagement ring but aren’t sure where to start or which center gem to choose, consider the colors that most inspire you. 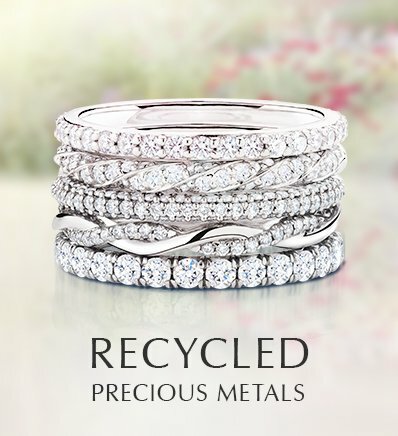 Because sapphires are available in every color of the rainbow, there are limitless choices for this inspiration! Consider eye color, style, surroundings, and the way different colors make you feel. Maybe you are drawn to green and blue hues for their soothing effect, or maybe you want a bold magenta or red to match your passion and personality. Perhaps a blend of softness and individuality, like peach, feels most like you. 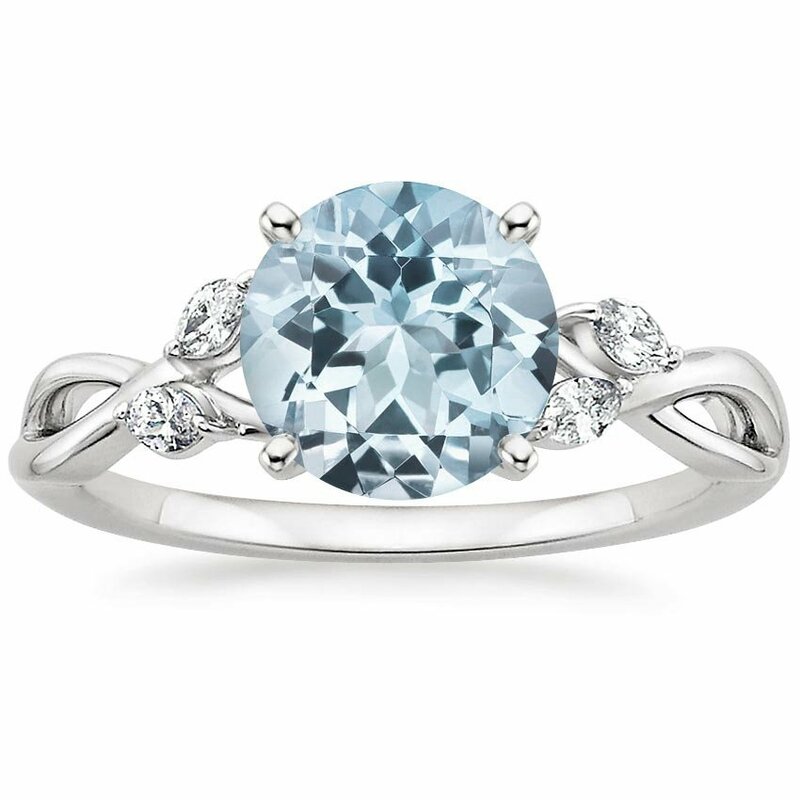 Some people choose a colored gemstone because of its symbolic and personal meaning, such as a birthstone or the color of their fiance’s eyes. 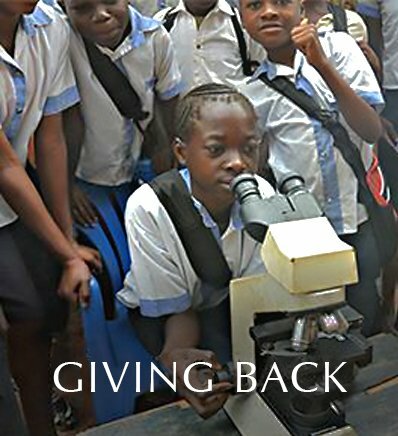 Whatever you can imagine, Brilliant Earth can make happen. 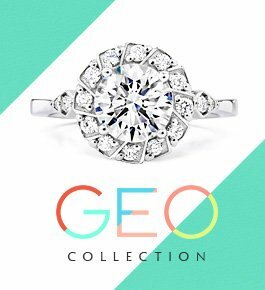 Contact us for a personalized consultation—we will take all the time you need to help you select the perfect gemstone engagement ring. 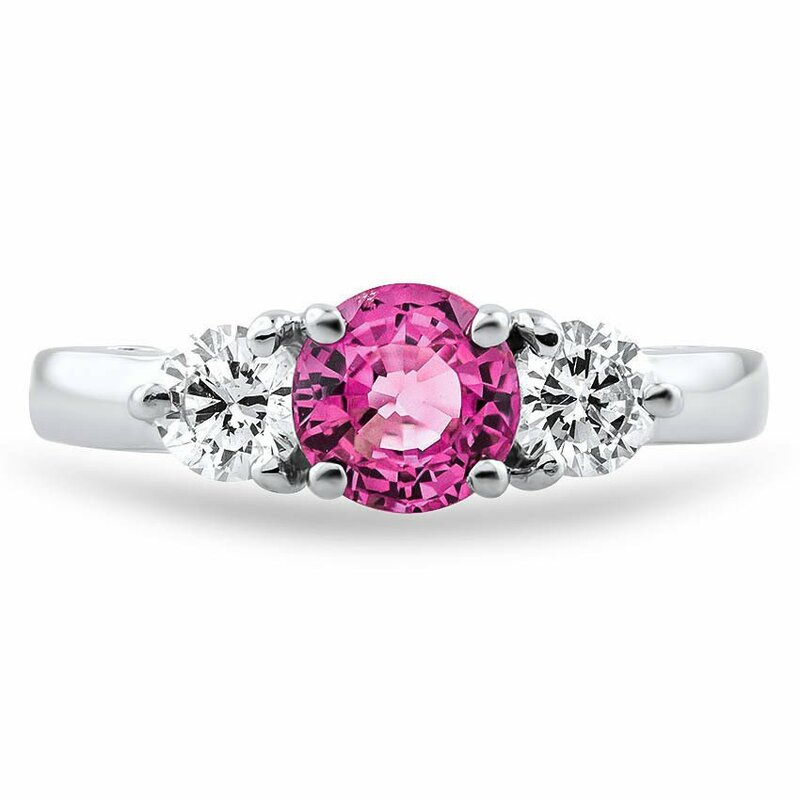 Do you love colored gemstone engagement rings? Do you wear one, or would you want to? Let us know your thoughts on our Instagram, Facebook, Twitter, or in the comments section! Hi Eiko, we have a beautiful collection of vintage opal rings that you can view on our website here: http://www.brilliantearth.com/vintage-opal-rings/. Thank you for your interest! Do you work with opals? Hi Tracie, at this time we do not work with any opals. Thank you for your interest! Do you do ever work with laboratory cultivated opals? 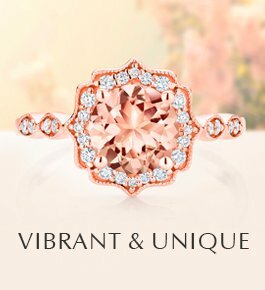 looking for a 2kt oval for a white gold semi mount, would like a color that would complete the ring, am interested in the peach and pink together, more of deeper tones. I would also consider a purple blue.